By having vast experience in Nonwoven bag making industry , Now we entered in Offset printing machines too. 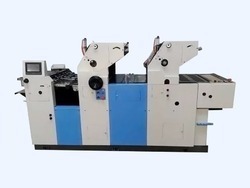 Before promoting this one, we practically start to run this machine for more than 6 months and gained good result, After that only, we now started to promote all kinds of offset printing machines. Max.Bag Size(mm) 365 x 470 406 x 560 457 x 620 Max. Printing Area(mm) 345 x 450 375 x 550 440 x 605 Min. 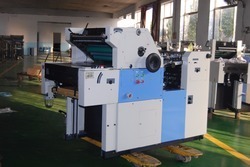 Two colour Nonwoven satellite bag printing machines suitable to print two graphical colours in single shot on Non-woven bags and Paper sheets. FIVE FINGERS has developed next generation Non -woven Satellite model two colour bag Printing Machines to offer high quality print results on Non Woven D-cut bags , Nonwoven Sheets , Paper sheets . 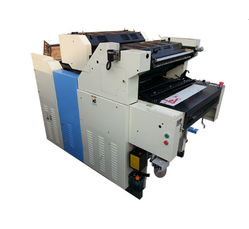 Two colour Nonwoven (2 UNIT) bag printing machines suitable to print two graphical colours in a single shot on Non-woven bags and Paper sheets. FIVE FINGERS Single Colour Offset is a newly produced lateral AUTO feeding commercial press based on advanced German technologies. 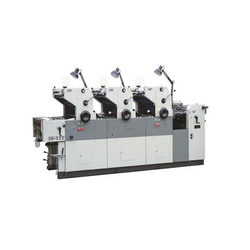 We are the leading and prominent Manufacturer, Importer and Exporter of wide range of Four Color Offset Printing Machine. Nonwoven satellite bag printing machines suitable to print Multi graphical colours in single shot on Non-woven bags and Paper sheets. FIVE FINGERS has developed next generation Non -woven Satellite model Multi colour bag Printing Machines to offer high quality print results on Non Woven D-cut bags , Nonwoven Sheets , Paper sheets . 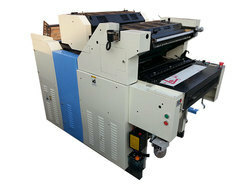 Looking for Offset Printing Machine ?